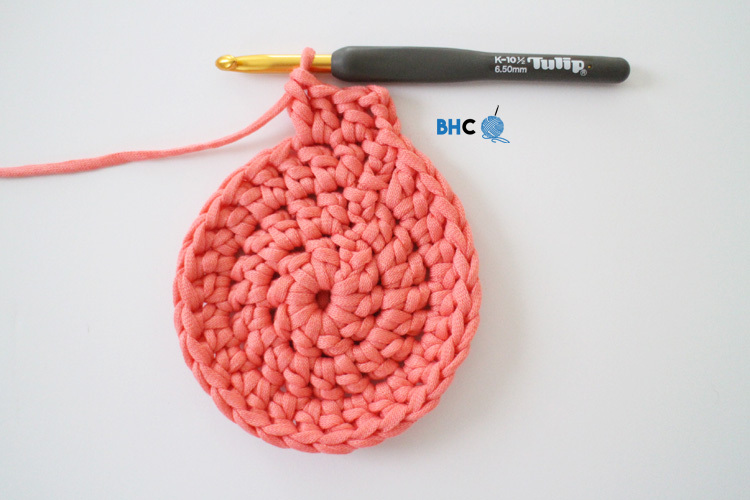 The most frustrating topic for me as a beginner was without a doubt, crocheting in the round. It sounds pretty simple in theory but when you start to crochet in the round and you run into problem after problem, you realize it isn’t as simple as it seems – when to increase, when to stop increasing, how many stitches do I start with, why is it still getting bigger? These are some of the questions that ran through my mind throughout several of my crochet in the round projects. I wouldn’t call myself a math whiz but I really had to put my brain to work as I learned the rules and little nuances of crocheting in the round. Over the years, I’ve developed a guide for myself – the ultimate guide to crochet in the round. This guide has been an excellent resource for me as a crocheter and a designer and, although I have most of it memorized now, still refer to it on a regular basis. I want nothing more than to remove the frustrations you have with crochet. 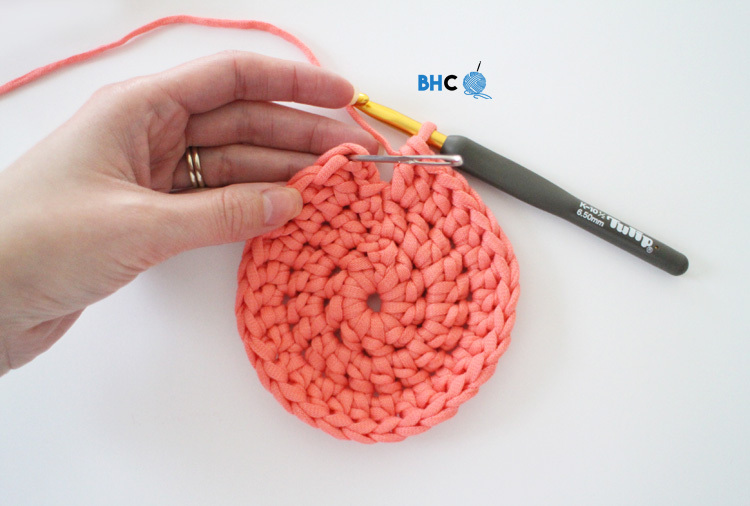 Are you ready for the ultimate guide to crochet in the round? A recipe is a tool anyone can use to recreate the same dish. You have specific ingredients and certain steps. I know you’ve followed a recipe before and it turned out pretty good, right? There are other thoughts and questions to this, yes, but for now we’re simplifying it all the way down to the type of stitch, when to increase and how many stitches you will have in each round because these three principles will never change. Principle 1: The stitch you’re working in will determine how many stitches to begin with. single crochet stitches – begin with 6 stitches. half double crochet stitches – begin with 8 stitches. double crochet stitches – begin with 10 stitches. treble crochet stitches – begin with 12 stitches. First let’s define an increase: an increase is when you make two stitches into one – you increase your overall stitch count by one. Did you spot the pattern there? The number of stitches in between increases goes up by one every round. Once you figure out this pattern, it becomes really easy to memorize! Here’s a tip! Each increase will take place in the second stitch of an increase from the round below. Knowing this makes things even easier. You don’t even need to count. Principle 3: because this is all one mathematical equation, the total number of stitches in each round is the same. I say that with one caveat – the total number of stitches in each round is the same depending on how many stitches you started with. Don’t worry if math isn’t your thing. Just refer to the information below based on what number of stitches you started with. Did you spot the pattern on this one too? The number of stitches in each round goes up by the same number you started with every round. If you like little math brain teasers, you’re probably squeeing with delight. Can you believe that’s all there is to it? As long as you have the first part of this ultimate guide handy, you’ll never have to think when crocheting your circle. 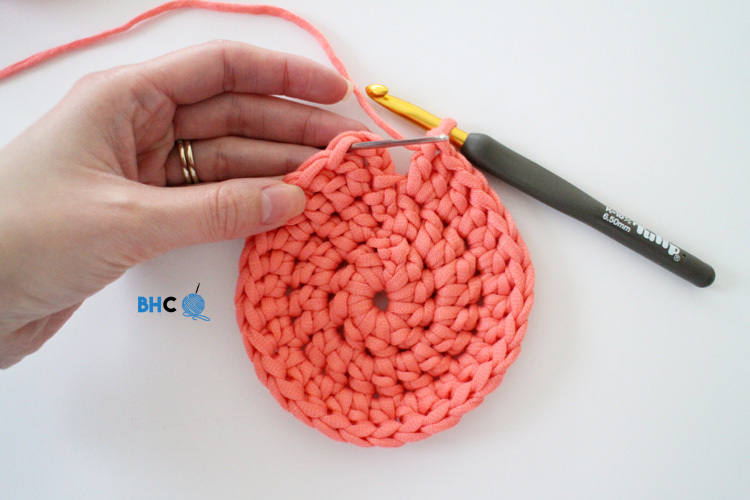 Part 2 of the ultimate guide to crochet in the round isn’t so structured because we’ll be addressing variables that may change from person to person. There are certain things that will (potentially) impact your crochet circle even if you follow all the steps to part one. Fortunately, these things can be dealt with as they come up and you can learn from each experience. After you’ve read through part one and you’re ready to dive into your circle, read this section first. does your starting chain count as a stitch? In many cases it does, however, that’s not always the case. If I’m working a simple double crochet circle, I always allow my starting chains to count as a stitch. Certain patterns may not include it in your stitch count. So how do you answer this question? If your pattern says “join with a slst to the (first/second/third) chain”, you can conclude the chain counts as a stitch. If your pattern says “join with a slst to the first stitch”, you can conclude the chain does NOT count as a stitch. The photo above demonstrates where to join when your starting chain counts as a stitch. In this example, I am working in double crochet stitches. No matter what stitch you are working with, you will always join with the top of your starting chain. The photo above demonstrates where to join when your starting chain does NOT count as a stitch. I’m working in double crochet stitches in this example as well. No matter what stitch you are working with, you will always join with the first stitch of that round. What if I’m not supposed to join? If your pattern indicates to work “in spiral” or has no joining instructions, you will need to mark the first stitch of every round to keep track of where you are. You will not have to worry about where to join but you will need to keep track of your stitch count and what round you’re working on. How do I start each round? This question only comes up if your are working a circle solo without a pattern, a likely scenario if you plan to make your own designs. On every remaining round, make your starting chain the first of the stitches between your increases. For example here I have started on round four, a round that requires two stitches in between increases. My starting chain is the first one of those two stitches. Then I make the second of those stitches in the next stitch. Then I make my increase. When you do this, your last stitch will always be an increase. If you start off the same every round, you’ll form a habit and be less likely to make mistakes. When do I stop increasing? This is another question that will come up if you are flying solo on your crochet circle and design. The pattern, of course, will tell you when to stop increasing. You should stop increasing when you no longer want your circle to lay flat anymore. I feel like this is a pretty obvious statement and I certainly don’t want to insult your intelligence. However, this point brings up a real issue. Just because you stopped increasing, doesn’t mean you’ll see immediate results. when working in single crochet stitches, stop increasing approximately 6 rounds before you want the shape to change. when working in half double crochet stitches, stop increasing approximately 3 rounds before you want the shape to change. when working in double crochet stitches, stop increasing about 1 round before you want the shape to change. I really wish something like this guide existed when I started learning the basics of crochet in the round. I really hope you find a lot of useful information here and it helps you be more successful in your hobby, charity efforts or business. If you have a question related to crocheting in the round or you feel I’ve left out something very important here, please leave me a comment below. I’ll be adding to this ultimate guide to meet your needs. I’m here for you! Loved this post? Pin this pic to Pinterest to save it!